Chicago based Metal band, DIAMOND REXX, hit the scene in 1987 with their debut, Land Of The Damned, on the major label Island Records. The band, which took their cues from the Hollywood hair metal scene, was all about sleazy rock, big hair, and plenty of attitude. Land Of The Damned is still a fun blast from the lipstick-laden past. If you're an 80's rock fan and prefer bands on the sleazier end of the spectrum, you'll definitely want to check out DIAMOND REXX. The band will be performing a special show on June 18th at Brauer House in Lombard, Illinois at 9pm. You can expect the full original outrageous show right out of 1987, as the band plays their debut album Land Of The Damned from front to back. 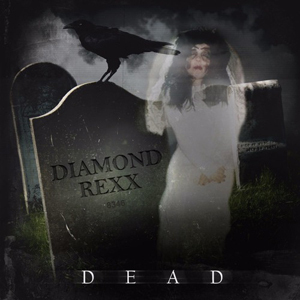 DIAMOND REXX will also be releasing their new single "Dead" on June 17th. The first 100 people through the door at the show on June 18th will receive a free autographed CD! In the meantime, check out the new track streaming below. Advanced tickets can be purchased for $10.00 through Ticket Fly HERE.